You may be thinking about old tales of knights and wizards when you hear the name of this next game and you would be right. 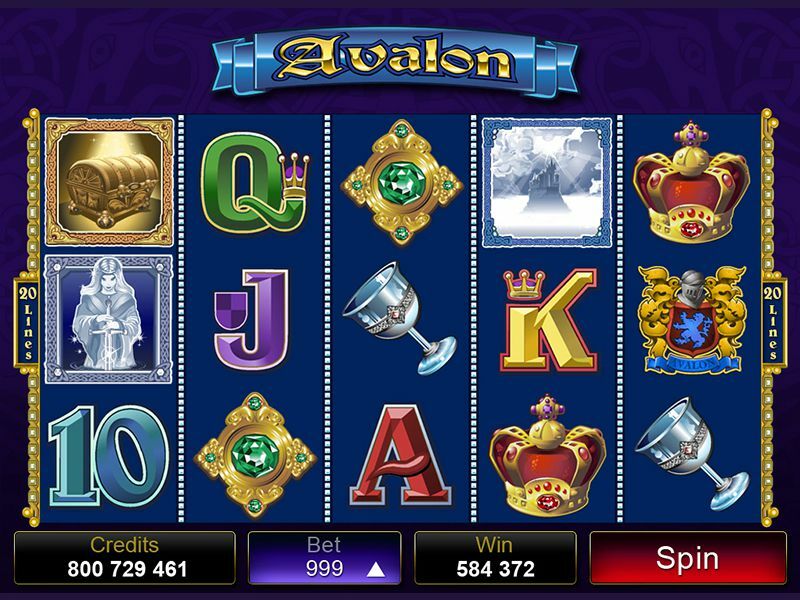 Boku Slots has had the privilege of playing the fantastic Avalon slot from Microgaming Software and it was lots of fun and easy to play. 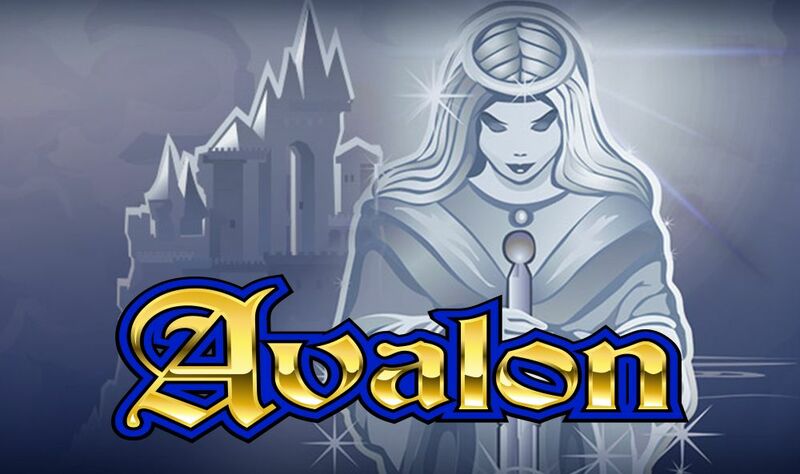 Avalon is a 5-reel 20 pay line slot game, the pay lines are unfixed so can be adjusted to suit your own needs on each spin. It has a royally impressive RTP of 96.01% for its players to enjoy and lots of great features too. The soundtrack is actually quite relaxing in terms of slot game music and the little tunes played on wins and features isn’t too over the top, meaning we didn’t have to switch off the sound this time. Bet Amounts – Betting begins at 20p per spin, if you have all 20 pay lines in play. But as we mentioned before you can adjust this when you need to. The betting begins fully at 1p per pay line at coin level 1 and can be increased to 50p per line and coin level 10. This will make the maximum bet amount on 20 pay lines £100 per spin. So, as you can see there is a lot of scope for affordability with Avalon, just be sure to have made your adjustment before every spin. Wild Symbol – There are two wild symbols in Avalon. One is the Avalon landscape itself and the other is a wooden chest. Both of the wilds substitute for all other symbols except the Lady of the Lake scatter. The Avalon wild is the highest paying symbol offering 3,000 coins for five symbols on a winning pay line and the wooden chest wild is the second highest, offering 1,000 coins if five are landed on a winning pay line. Scatter Symbols – Your scatter symbol is the Lady of the Lake herself and landing three or more of these, will trigger the bonus spins feature. You will also receive scatter wins for 2 or more of the Lady of the lake on an active pay line, so watch out for those extra coin wins. Bonus Spin Feature – Once you have landed three or more scatters, you will trigger the bonus spins feature. Once it has begun you will be allocated 12 bonus spins and up to a 7x multiplier on your wins too. The bonus spins can be retriggered during the feature and your wilds are also active here too, but again they will not substitute for the scatter just the other symbols. Gamble Feature – For those of you that like to take things a little further, Avalon has the gamble feature enabled. This means on every win you have the choice of gambling it to try to increase your win. Once you hit gamble you will be offered a face down playing card and a choice of either picking the correct colour or the correct suit. If you choose correctly the winnings increase and you get to choose again up to a maximum of 5x. if you choose incorrectly all your winnings are lost and you are returned to the game. Avalon is easy to play, has two wilds, the wins and features triggered often, and there’s an easy on the ears soundtrack as well. The graphics are a bit understated, but we think that’s why it works so well. There isn’t too much going on to detract from the game itself and this makes it easy to transfer from PC to mobile devices.